Petite Melt Away Mint Cookies are so chewy and soft! Loaded with petite melt away mints. Then to top them off, drizzled with chocolate. They are a favorite of ours. You can use them any time of the year. You can always find the petite melt away mints at a cooking store. 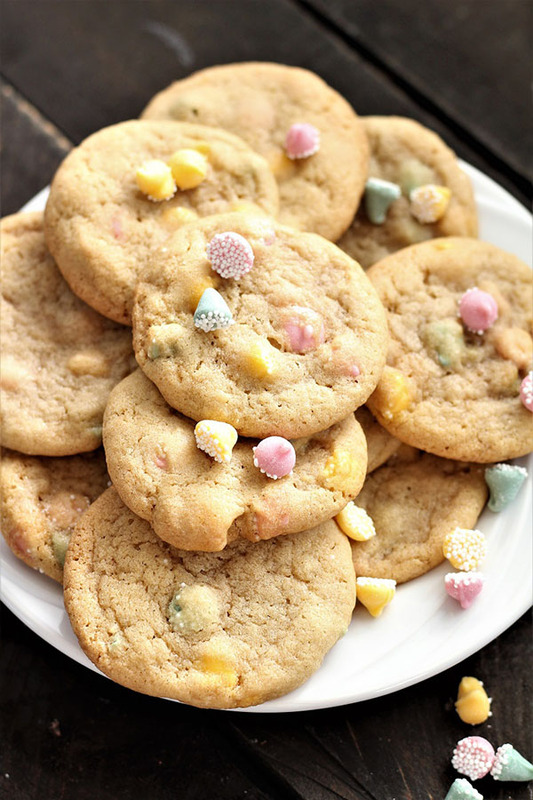 My cute friend brought them to me after Christmas and so I quickly remembered this yummy cookie recipe. I decided to have my hubby take some of these petite melt away mint cookies to work and my 3 year old granddaughter was eating her breakfast and she said to me, I want one grandma. I had some with chocolate and some without. And so I set some aside and went to work on the computer. When I finished, I went into the kitchen and the 3 or 4 cookies that had chocolate on top were no where to be found??? And so I asked my little granddaughter about the cookies and she said that she ate one and that mom ate one. So I asked mom and she said that she had not eaten any. Hmmm? I don’t remember if there were 3 or 4, but I’m pretty sure that there were 4. And so if you are wondering if your grand kids will like them, the answer is YES! And I can say that they were a hit at my hubby’s work as well. Try some today, or if you have a fun get together you may just want to whip up a batch. If the grand kids are coming over you can always let them drizzle the chocolate on top. I hope that you all have the best day ever and that where ever you live that the sun is shining. It is very cloudy here and overcast. However, tomorrow is suppose to be a sunny day and I can’t wait! 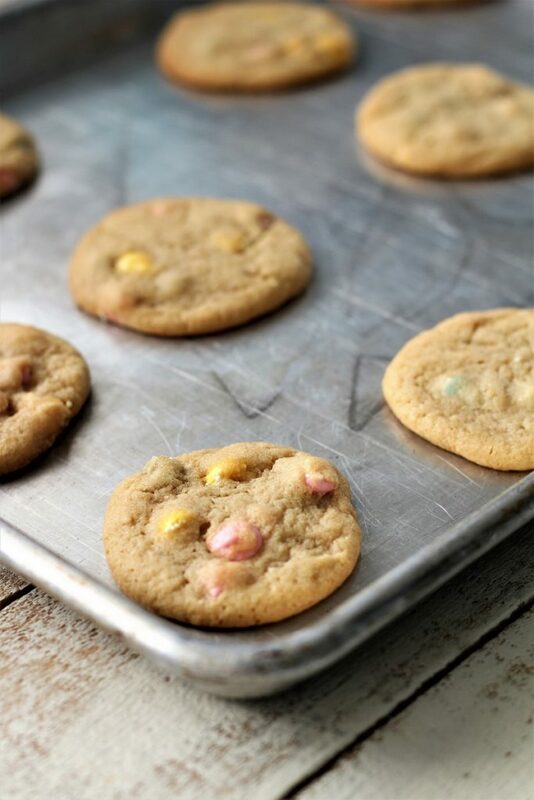 1- Make sure that you do not over bake the cookies as they will go hard and crunchy! 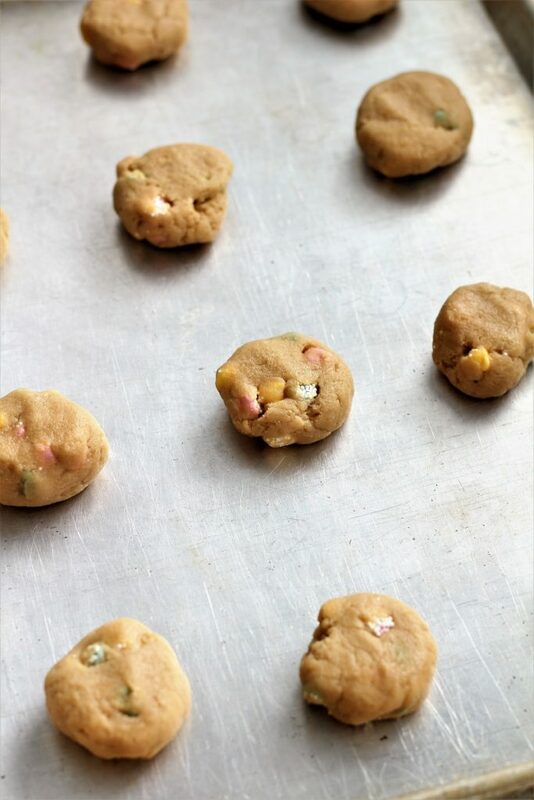 2- If you are giving petite melt away cookies as a gift, place of few of the mints on top of the cookie before baking them. 3. Red chocolate melted would be really cute for Christmas! Cream together butter, sugars and eggs. Add the salt, soda, flour and vanilla. Stir in melt away mints. Save chocolate chips for later. Roll into 2 - 3" balls. Flatten the balls slightly. Bake @ 350 degrees for 9 - 12 minutes. Cool on a wire rack. Melt chocolate chips in a microwave safe bowl, power level 5 for about 1 minute. Place the melted chocolate into the corner of a zip lock baggy. 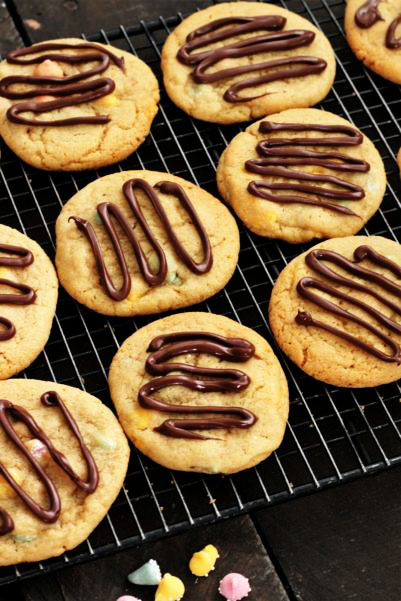 Snip off the tip of one corner and decorate the cookies with the chocolate using a back and forth zig zag. I am on your team! Cookies are a staple. And I am so appreciative of the lady who invented COOKIES! I hope you get a chance to try them some time. Have a wonderful week!